With the growth of self-publishing, many photographers are not just seeking out advice from photo-eye staff on what established or blossoming publisher would be the right fit for their work. More and more, we are making fantastic book discoveries at the portfolio reviews and the recent visit to Photolucida in Portland, OR was no exception. In addition to books that will be published later this year from established publishers Nazraeli Press and Kehrer Verlag of Christopher Churchill's American Faith and Sol Neelman's Weird Sports respectively, we found some fantastic self-published books and limited editions which we are pleased to add to our curated selection of photography books: Jessica Auer's Unmarked Sites, Klea McKenna's The Butterfly Hunter and Fritz Liedtke's Astra Velum. Jessica Auer's new imprint Les Territoires is based in Quebec, Canada. 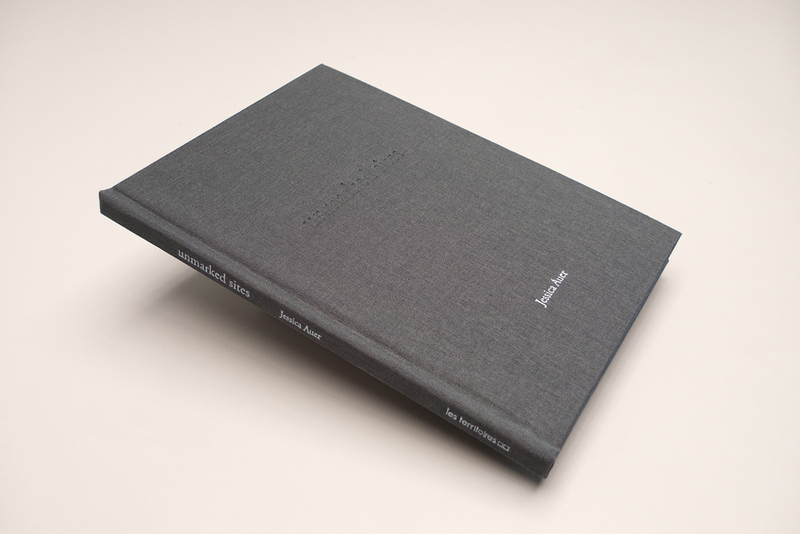 As Auer noted in our brief meeting, the photobook phenomena has not taken hold of the Canadian public as it has in the United States and Europe, giving Auer a head-start for photobook publishing in this geographic region. Unmarked Sites is her first venture into publishing under this new imprint. It is Auer's exploration of locations that were once prominent in Viking culture circa 1000 AD and in some locales, people predating this time period. 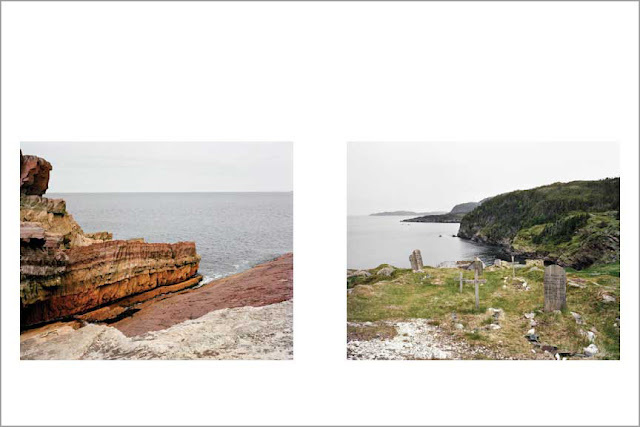 Looking for clues of this history in the landscape, Auer creates a thoughtful investigation of the traces the past leave on the present. 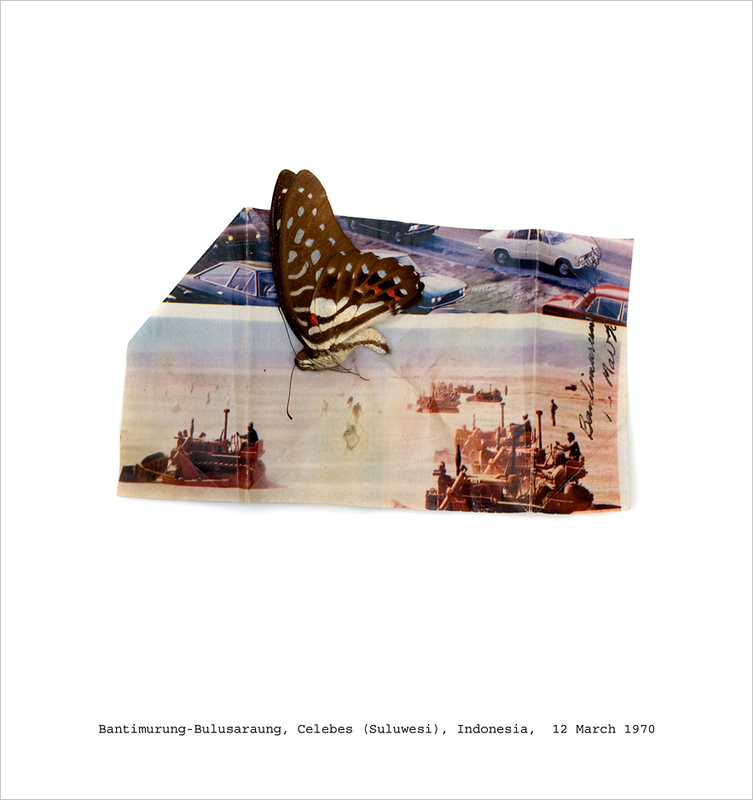 The accompanying text, which is in English and French, functions as a travel journal while giving a hint of information about how contemporary and historical cultures have used this land. The book about 6 1/4 x 8 1/4 inches (or 16 x 21 cm for those outside the US) and is wrapped in subtle gray cloth with blind stamped debossed titled on the cover. 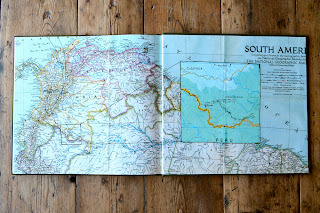 Some of the horizontal interior images are displayed as gatefolds and it is printed in an edition of 500 numbered copies. Printed by Edition One Studio of Berkley, CA, the new limited edition by Klea McKenna is proof that digital book printing can create a beautiful object. 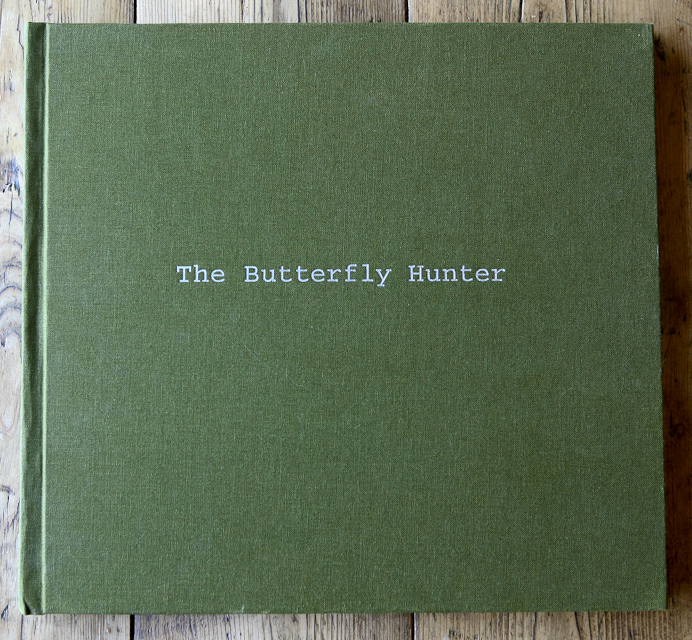 Klea McKenna worked closely with the printer to produce a book of photographs which she took of her father -- the famous writer, lecturer, teacher, traveler and legendary advocate of psychedelic experimentation -- Terence McKenna's entomological collection of butterfly specimens he collected in Singapore, Indonesia and Colombia. Meeting with Klea McKenna at Photolucida, she explained that field collectors of butterfly specimens often use a type of archival paper in which to keep the insects until they can be rehydrated later. Her father, however, used newspapers, magazines and other found repurposed papers to keep the butterflies safe, but he never rehydrated them or spread out the wings. 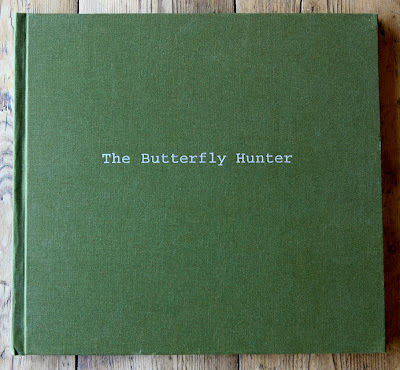 Each page of the book The Butterfly Hunter shows the insect and the surrounding paper along with the McKenna's handwritten notes transcribed and printed in a Courier-type font resting on the bottom of each page. The background paper for the specimens is opened to show articles about Kent State, pieces from a German ex-pat newspaper with captions stating the clearly recognizable subjects, Himmel and Hitler, the head of Barbara Streisand and many other illustrations. The book also includes a map of the senior McKenna's travels and other facsimiles of related ephemera. It is printed in a signed and numbered edition of 480 copies. 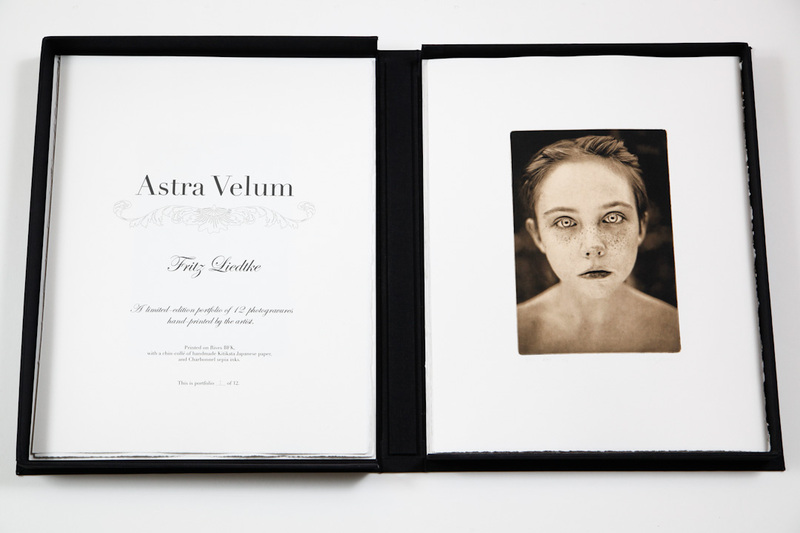 Fritz Liedtke's limited edition loose plate portfolio titled Astra Velum contains 12 prints bound in a custom-made clamshell box and is available only in an edition of 12. 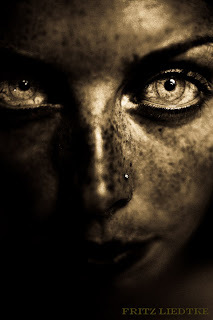 Liedtke takes on the subject of lovely freckled women whose faces are covered in the "veil of stars". One subject notes that the multitude of dots are sometimes perceived as a flaw of complexion, but Liedtke embraces them as mark of beauty. 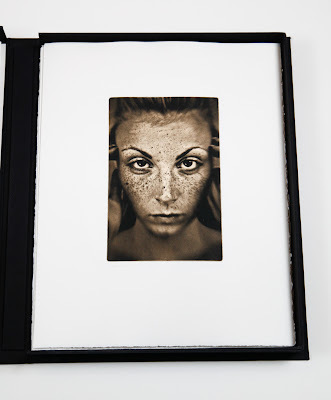 Just as each woman is presented as an individual, Liedtke's photogravures are all unique as they are created with the process chin-collé, a method where a second paper (a handmade Japanese paper) is pressed in between the ink and the backing. As Leidtke explains about his process the primary medium for the photogravure is Rives BFK, a the classic standard in printmaking, and the second is handmade Japanese paper called Kitikata. These lovely, luminscent, one-of-a-kind prints really must be seen to be appreciated. Each portfolio is a unique collector's edition. Liedtke just released the edition and only 11 remain. Prices will increase as the edition sells.